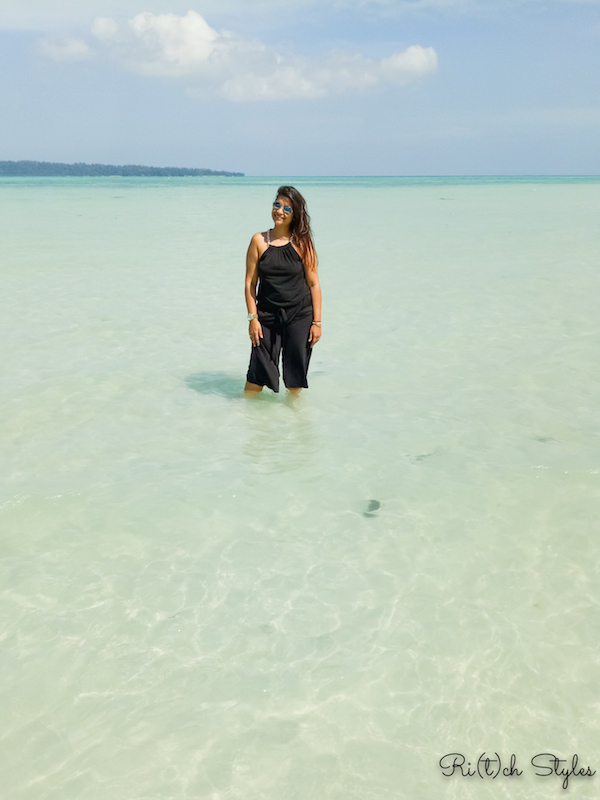 Ri(t)ch Styles : Indian Fashion, Beauty, Lifestyle and Mommyhood Blog: #SharetheLoad – Reducing the Gender Disparity at Home! Sons need to 'Share The Load' - a concept MOST modern parents readily agree with. My mother and father have applied this since me and my brother were kids, and today he is such an independent guy because it helps him better in his day to day while he lives a bachelor life in the USA. As a child I never saw my father shy away from any chores. He was always there for my mother or to help anyone is need with whatever they wanted help with and so equality as a concept was never new to me. His mom never taught him this, but he just knew he had to help out and that according to me was a really progressive thought process for when he was growing up 60 years ago. In fact, honestly marriage brought about some confusion in my head because there were Do's and Dont's as my husband was the favourite kid in the house so you know what that means and initially we did struggle a bit which does happen when two different people start living together, but it was a super quick transition and things did smoothen out really fast. Today, Prateek is one of the most hands on dads and a huge help to me at home which makes life so smooth. Ariel has been one of the forerunners in bringing to the surface the reality of inequality within households since 2015 with their award-winning movement #ShareTheLoad. Last month, Ariel hosted a panel discussion that was moderated by Tisca Chopra and comprised of actor Rajkumar Rao, BBDO Head Josy Paul, and Sonali Dhawan - Marketing Director, P&G India. India has been a country of gender disparity and still highly is, and so it was interesting to hear personal experiences and thought processes behind the making of the current TVC that shows the disparity and raises the question - Are we teaching our sons what we are teaching our daughters? The newly-released edition of #ShareTheLoad, resonated and hit the right chord with so many people that since it’s release on January 24th, 2019, it already garnered 15 Million views in 20 days. The TVC hits the nail on the fact that while more men today are sharing the load than ever before, we still are a long way away from the ideal state of an equal future and there is a definite need for Sons to Share The Load. People say they are progressive but within the same progressive households, there is often a difference in upbringing between boys and girls. While daughters are raised to be independent, career oriented, and strong, they are still expected to be primary caretakers of households once they get married, and that is where is all goes wrong because the expectations evidently are unbalanced, and the biggest expectation is that they do it all and not buckle under the burden. This doesn't happen for the boys, even though they may volunteer to become the primary caretakers in a lot of cases but still I think just teaching them some simple life skills like laundry or cooking will make life much simpler as well as advocate household equality. 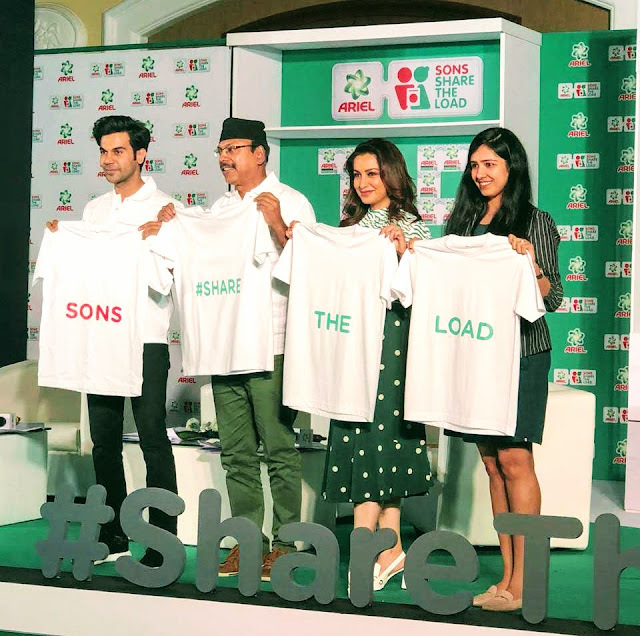 Rajkumar Rao shares an equal relationship with his partner Patralekha and thanks his mother to have taught him to #ShareTheLoad. In actuality, the world today is way different from what it was for my parents or for us. As a matter of fact, the next generation be it boys or girls, both need to be taught to 'Share The Load'. It is equally important that Aryaa too realizes the importance of this concept as she grows up in this digital world, where everything seems simple and functional at the touch of a button, but in reality, there is a lot you need to do for yourself. 😊 Also with Ariel, it's so simple to do laundry that there's no reason for anyone to not share the load! Lovely campaign. It's really important that husbands share the load in all aspects .. This is a really nice campaign by Ariel. I love this campaign and believe that it is important to share the load not only in laundry but otherwise as well. Luckily my sons and husband have always helped me with laundry and now folding clothes.